Home » Personal » Is Achieving Happiness Possible? Too often in our lives we aim to get this or to get that. But why not? Why not have goals and aspirations? After all, what is the purpose of life if we don't have things to look forward to or things to shoot for. Don't we often hear people say shoot for the stars and land on the moon? Most of what we do in life is to ultimately find happiness. How often do you hear someone say I want to do this because it makes me miserable? You wouldn't do things that only gave you misery. We believe that if we have more money, a big house, nice car, the perfect mate, perfect job, then we will be happy. No one can deny those things are not desirable. But, when we pin our hopes and dreams on the external world, we will end up disappointed. We seek certain things because we believe we will be happy because of it. However in the pursuit of happiness, we sometimes get lost and end up chasing the very things that we believe will give us happiness for the sake of chasing. Why is it that so many poor and unsuccessful people appear to be so happy. Yet we see those who are successful, have a good job, a good house, a good car, a family and are utterly depressed and sad? 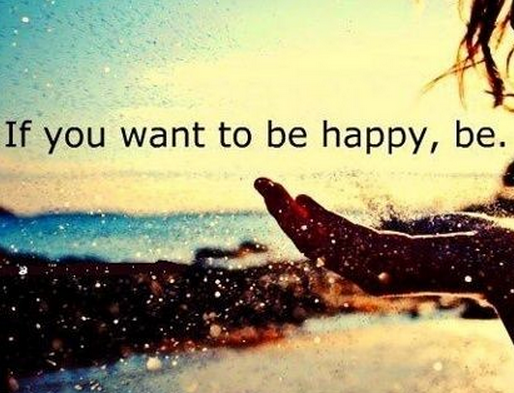 It isn't what you have or don't have, happiness is cultivated from within.